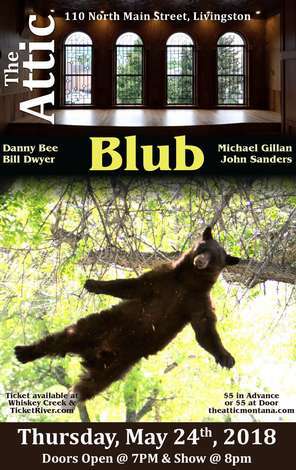 May 24th, Blub, From the creator of Big Ol’ and Brown... Danny Bee, Bill Dwyer, Michael Gillian, John Sanders. Alternative. $5.00 Tickets . Available at TicketRiver.com and Whiskey Creek. Doors Open at 7:00, Dance at 8:00pm.